White collar crimes and theft are Ohio criminal charges that can put you behind bars. Even though, by definition, these types of crimes are non-violent, the courts and prosecutors take them very seriously and will work hard to put you behind bars if convicted. Do You Feel Lost and Alone? There are plenty of questions going through your head right now. Why me? What if I wasn’t aware of the crime? Who will listen to my side of the story? Can I beat this? How do I stay out of jail? One call to Nemann Law Offices can answer these questions and many more. 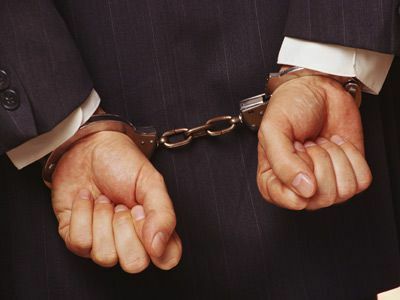 The last thing you need if charged with white collar crime in Ohio is inadequate legal representation. Adam Nemann knows exactly what you are going through and has the experience, toughness, and a success record to fight for your constitutional rights. Having a winning Columbus criminal defense attorney on your side can make all the difference. He knows the law. Ohio white collar crime and theft laws are complicated, and sometimes the federal government gets involved too. You need someone who knows and can use the law to defend your rights. He understands your situation. Because the victims of white collar crime are often faceless and the crime is non-violent, it is easy to get involved in this type of crime. In fact, sometimes you do not even know you have committed one. He will conduct the most thorough research. White collar crimes typically require extensive research, including sorting through mounds of paper and computer information trails. Our office will take all the time necessary to find the evidence needed to defend you. He has a proven track record. Adam Nemann is known throughout the Columbus area and Ohio as a successful, winning criminal defense attorney who works hard to and gets the best results possible in the cases he takes. When it comes to Ohio criminal defense, do your homework. You will find that Adam Nemann will handle your representation with integrity, personal attention, and successful strategies. Call today toll free at 888-294-9687 to find out what Nemann Law Offices can do for you. We offer a free initial case consultation. Nemann Law Offices is located in Columbus, Ohio and defends the citizens of Franklin County, including Grove City, New Albany, Gahanna, Grandview, Hilliard, Dublin, Westerville and Ohio State.